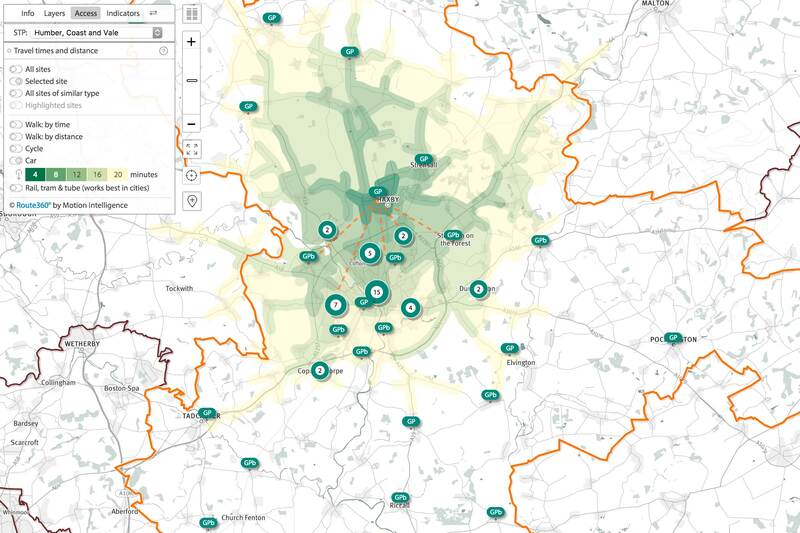 Parallel are design-led web application developers specialising in mapping and data visualisation, particularly for clients within the UK healthcare sector. SHAPE (Strategic Health Asset Planning and Evaluation) is a free-to-use application for the NHS and Local Authorities and has been in constant development for the past 12 years. 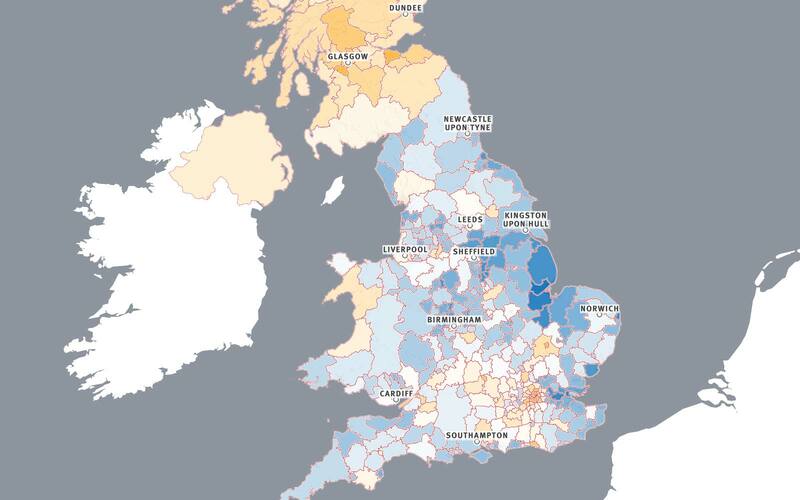 More recently a series of atlases have been developed that provide a range of options for visualising the location and details of the healthcare facilities in England; looking at specific datasets relating to specialised clinical commissioning, dementia and public health; and presenting Local Authority care provision and demographics. 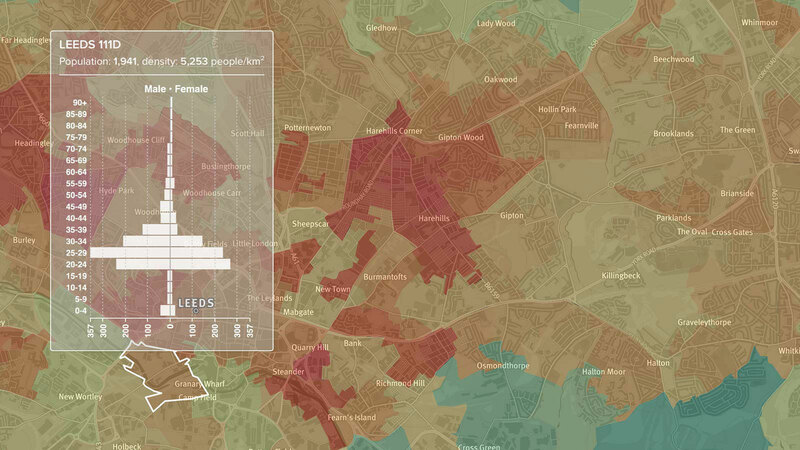 The SHAPE Place Atlas brings together a range of mapping capabilities centred around the location of the healthcare estate; the accessibility of the sites via a range of transport options; and the demographics and clinical activity of the local population. 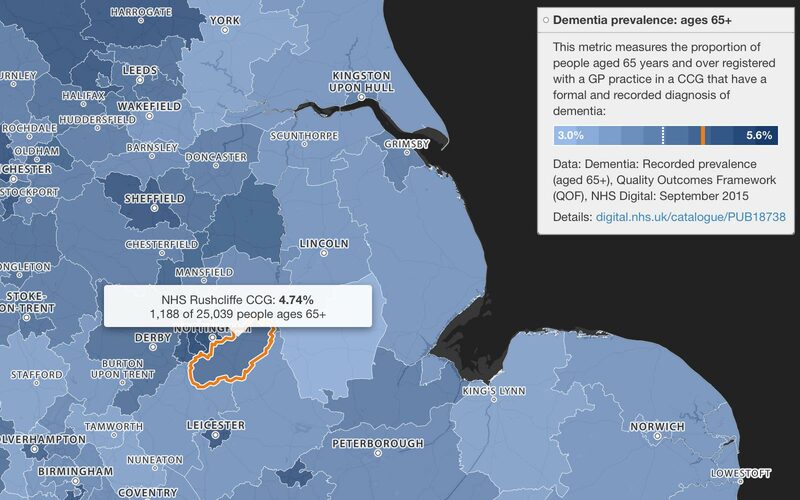 The SHAPE Place Atlas includes NHS Digital data providing details of each GP practice’s registered patient population and workforce; Environment Agency flood risk mapping; CDRC air quality layers; and demographic and other OpenData data from ONS, GLA, Department of Transport and NHS England. 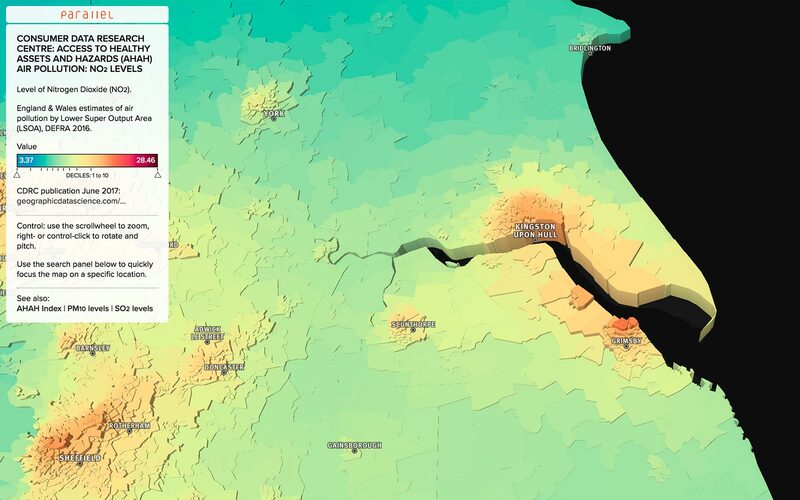 We're using Targomo's catchment generation API to allow all SHAPE users to dynamically generate access catchments for walk, cycle, car and public transport, for one or many sites and then provide detailed population demographics for any specific catchment isochrone. 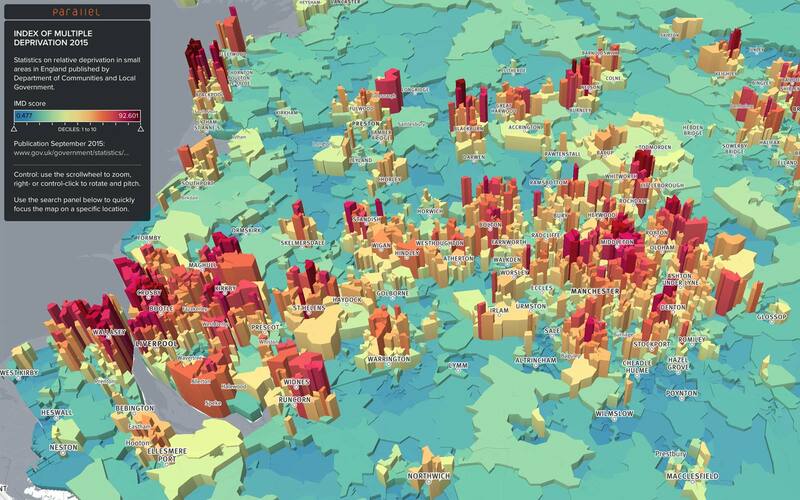 Interactive maps and exploratory exercises investigating the capabilities of data-driven Mapbox GL JS vector maps and 3D rendering. Free resource for geography students in UK schools. 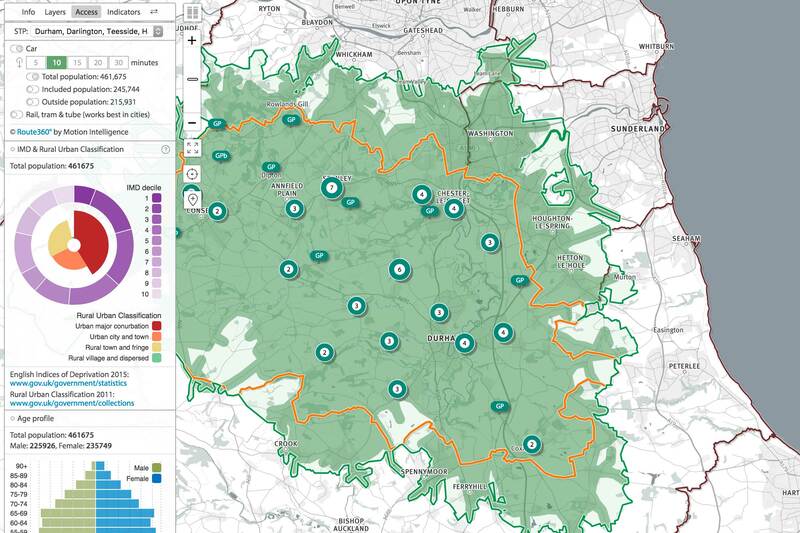 All 30,000+ schools in England & Wales mapped with walk, cycle and drive time catchments. Annual Small Area Population Estimates: Mid-2016 published by Office of National Statistics. Explore the UK and create your own personal colouring canvas. 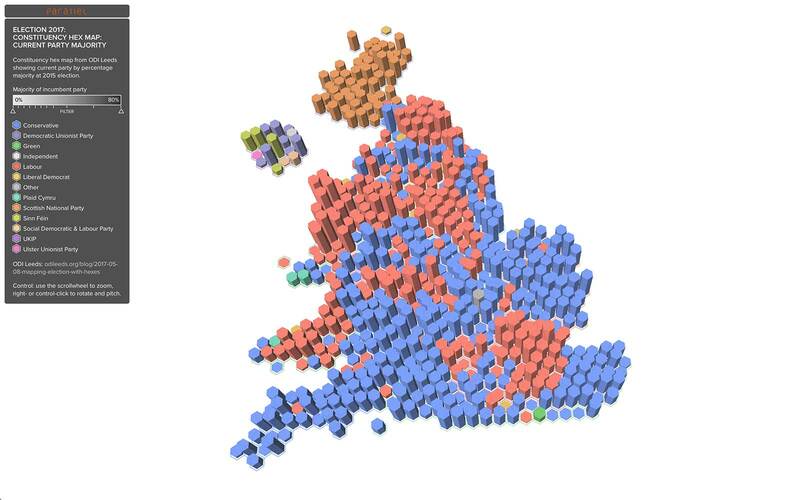 Constituency hex map from ODI Leeds showing party by percentage majority at the 2015 and 2017 general elections. 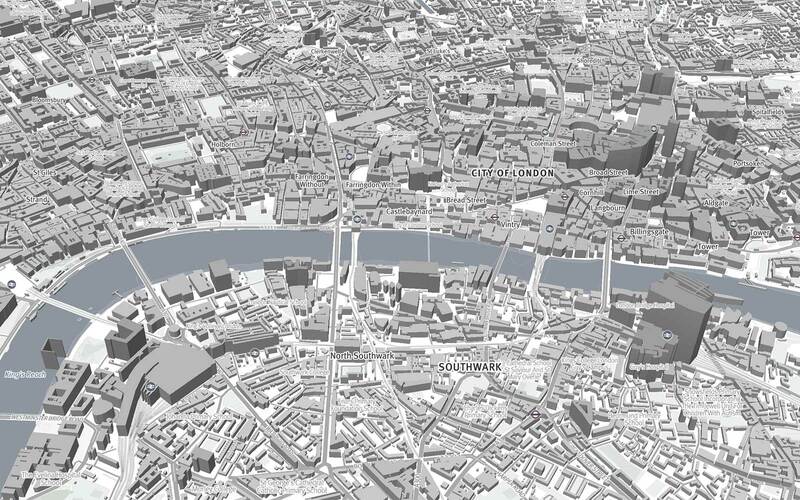 The detailed building data in OS Open Data when linked with Environment Agency LiDAR data allows the Output Area Classifications derived from Census 2011 data to be identified at individual building level. 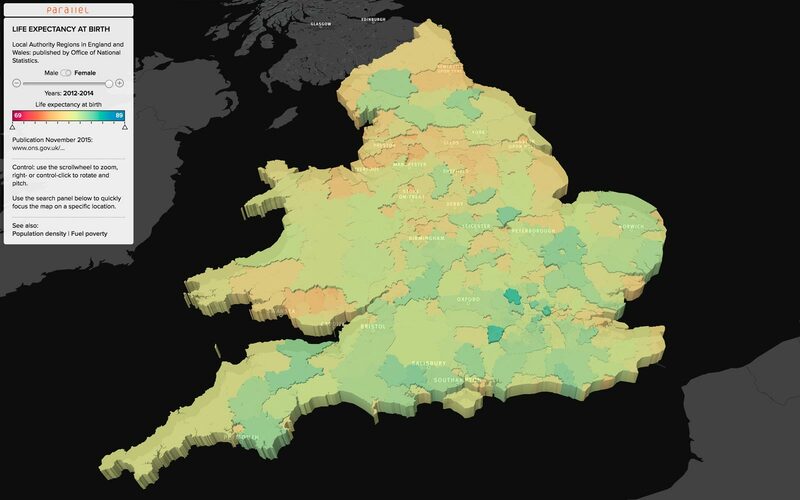 Local Authority Regions in England & Wales for years 1991/93 to 2012/14. 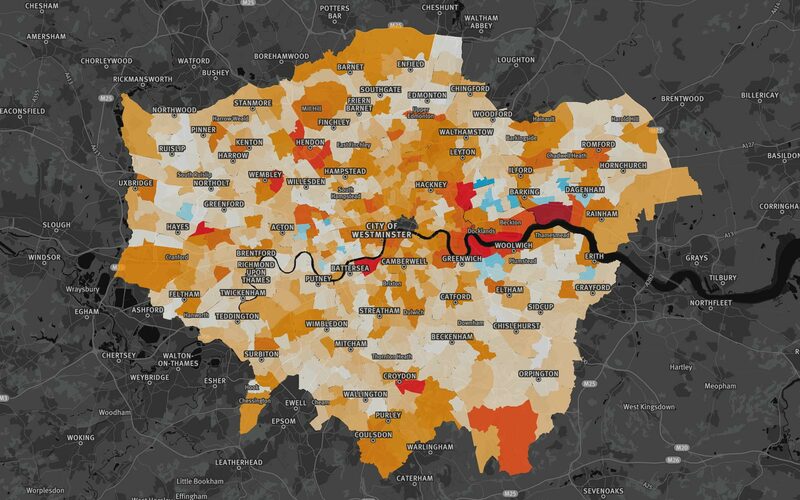 GLA annual projections to 2041: heights represent population, colour represents change from 2019. 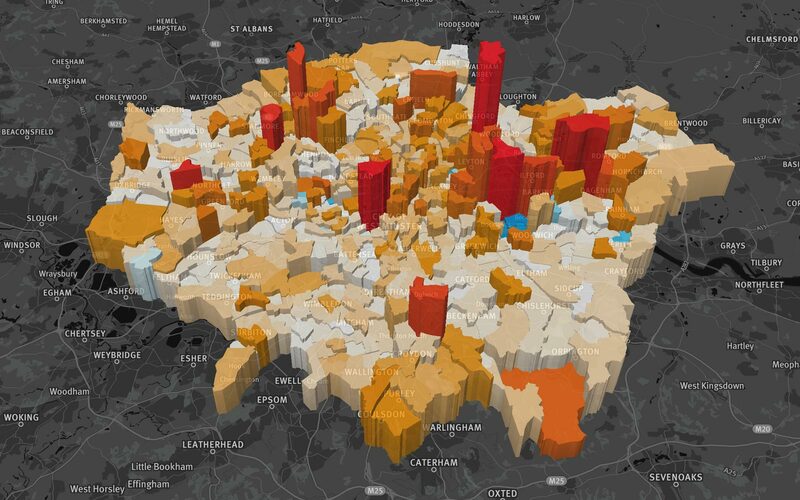 GLA annual projections to 2041: locations identified in 2D view. 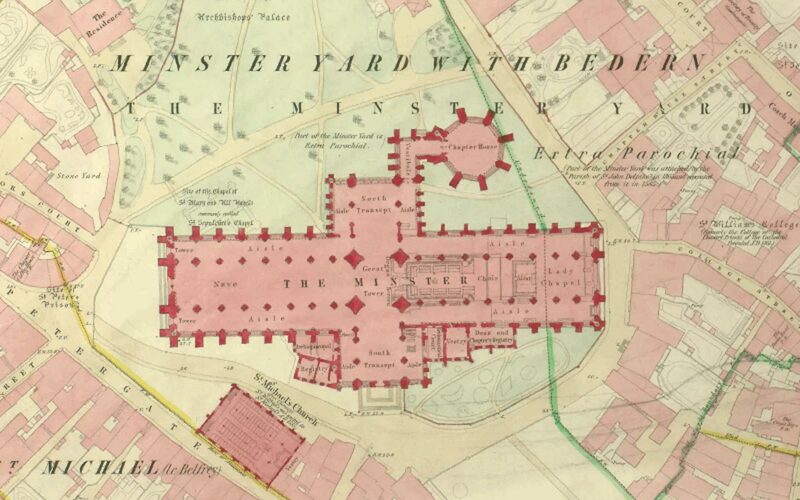 The large scale map of York was surveyed between 1849 and 1851 by Captain Tucker R.E. for the Ordnance Map Office. 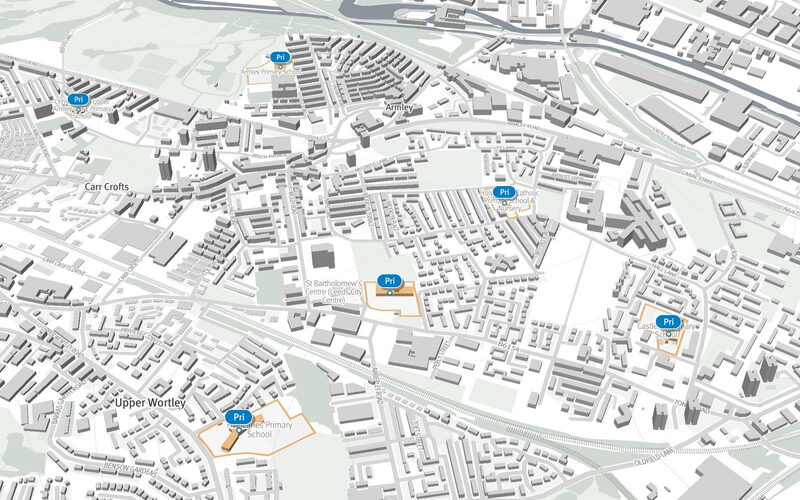 EMU Analytics dataset: OS OpenData and Environment Agency LiDAR data for Leeds; Data Mill North schools data. 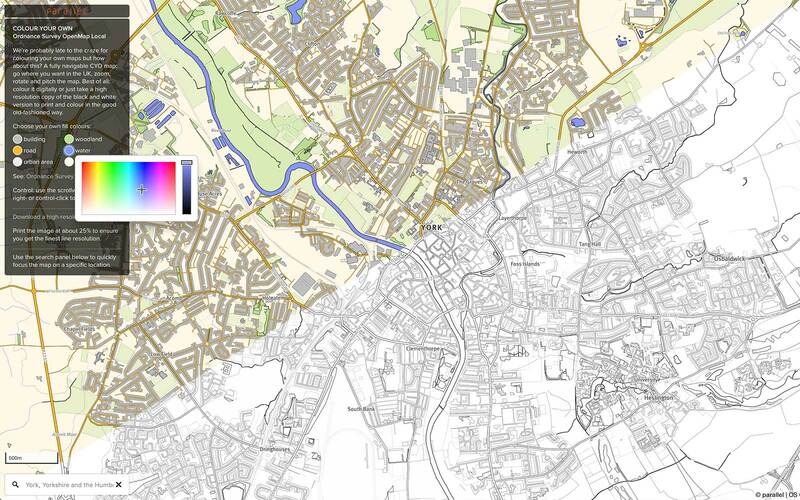 EMU Analytics dataset: OS OpenData and Environment Agency LiDAR data for Leeds; Environment Agency RoFRS data. Children and Young People Sub-domain. 2016 sub-regional fuel poverty data by Lower Super Output Area for England: Department for Business, Energy & Industrial Strategy data. 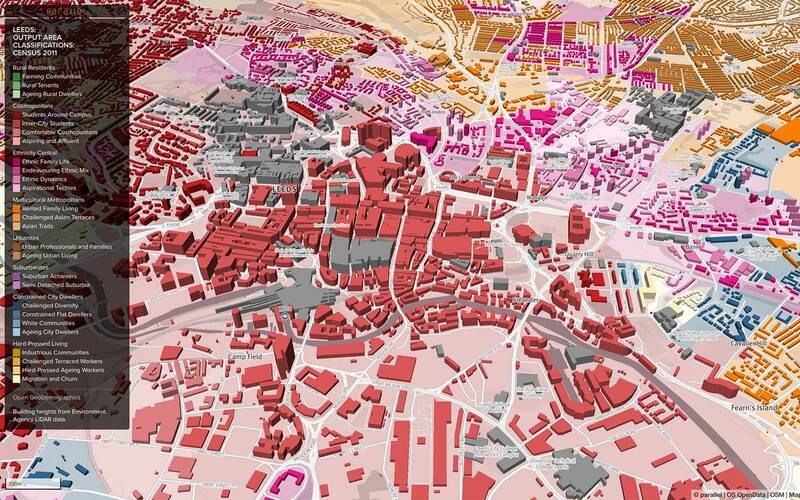 EMU Analytics dataset: OS OpenData and Environment Agency LiDAR data for Leeds, London & Manchester. Multiple dementia indicators; published on 17 August 2016. 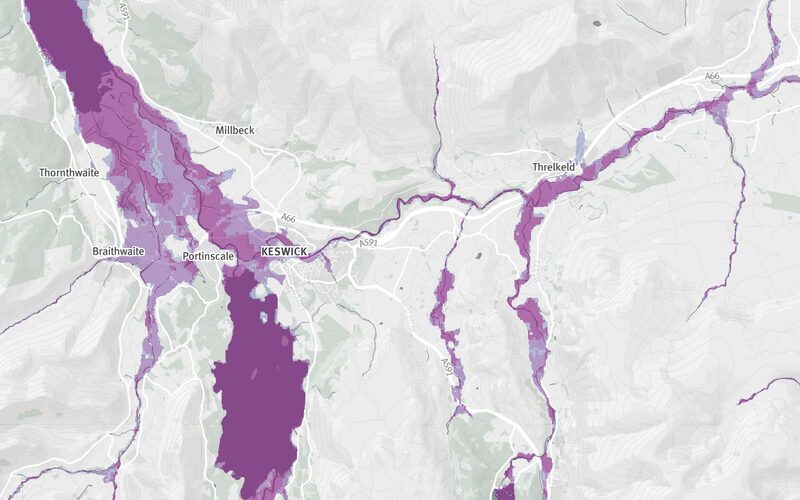 Environment Agency flood risk data published March 2018. 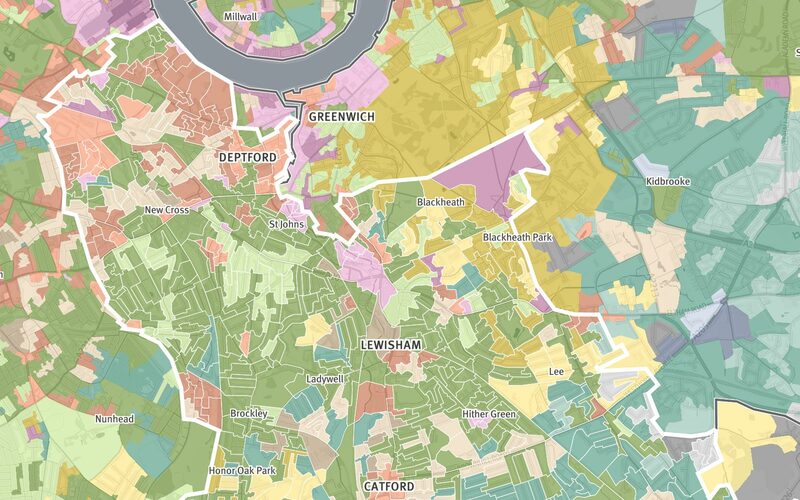 Geodemographic population classification within the Greater London Authority. Overview results of the UK EU Referendum held on 23 June 2016. Values for 32,000+ LSOA areas in England. 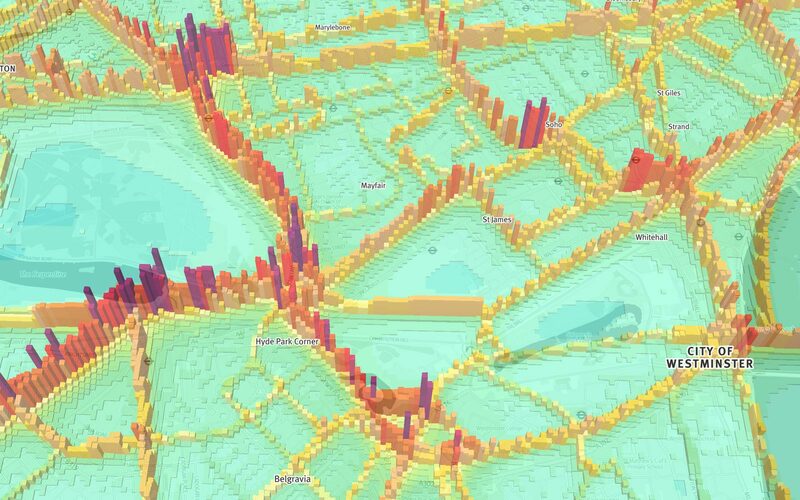 Precise geographic location for each of the 1.7 million postcode units in Great Britain, visualised as a heatmap. 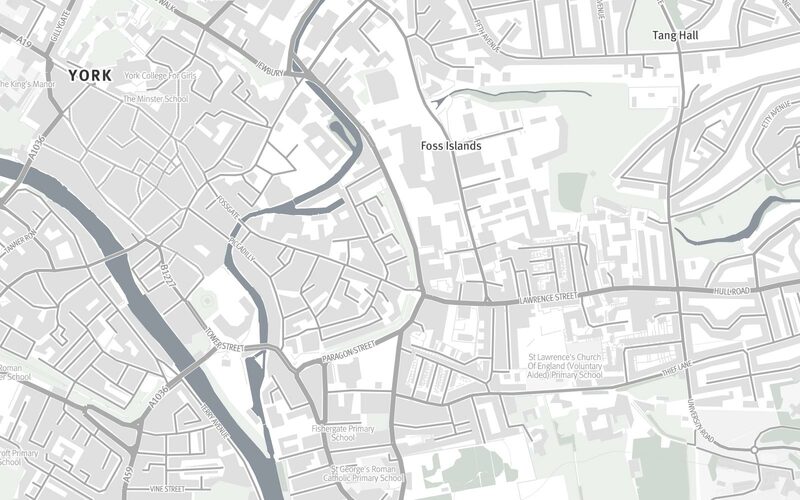 OS Open Map Local & Open Zoomstack are used for the core of the generic basemaps - they includes basic building outlines and functional sites. Detailed greenspace and footpath data is added from Open Street Map. 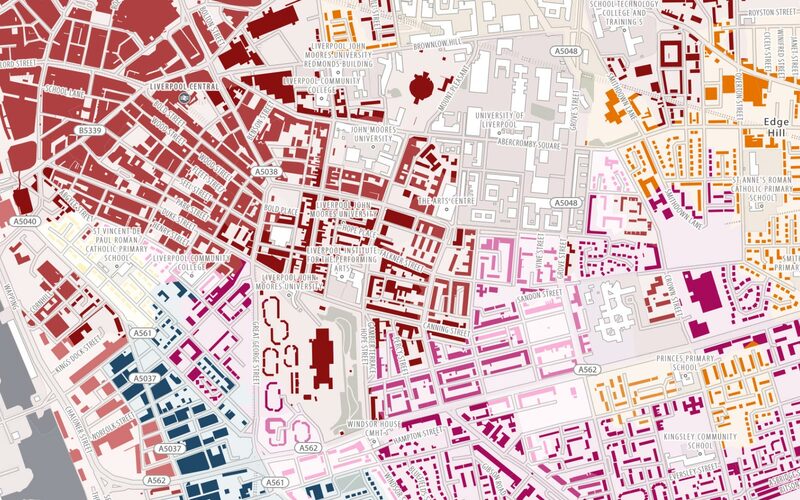 The detailed building data in the new OS Open Data allows the Output Area Classifications derived from Census 2011 data to be identified at individual building level rather than just Output Area boundary level.